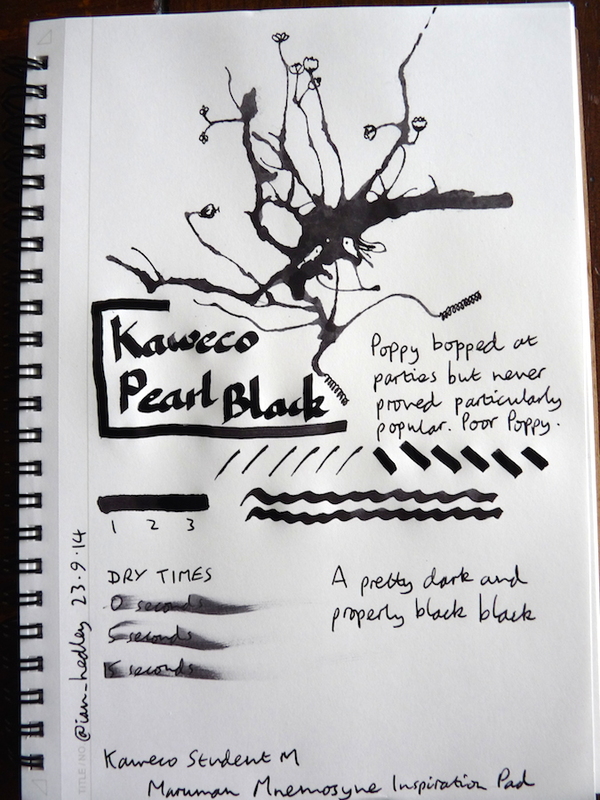 Kaweco Pearl Black ink review – Pens! Paper! Pencils! This is a good neutral and very dark black. If that’s what you’re after I’d say it’s pretty much on a par with Aurora Black. 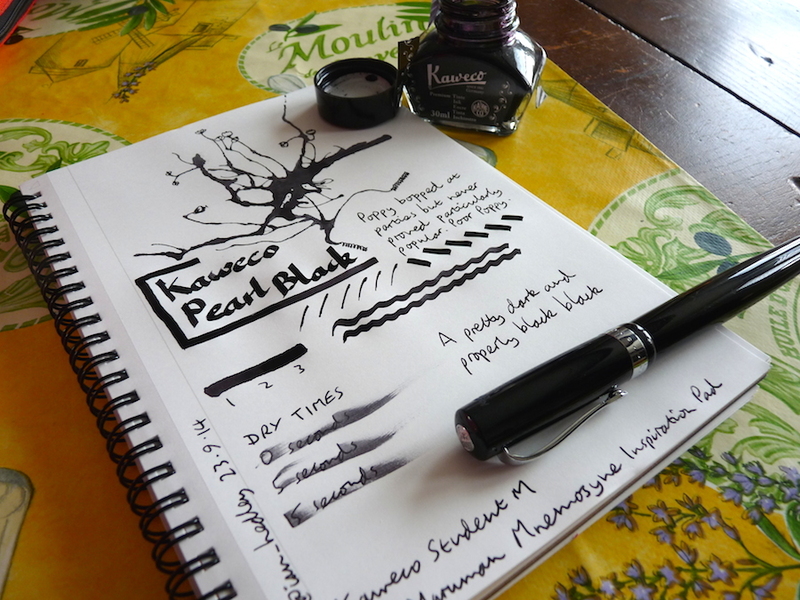 Many thanks to Kaweco for sending me this bottle to keep and review. I tried not to let their generosity influence my views in any way. This really isn’t a review. Nothing is said about flow, bleed, the ink’s composition, or any other characteristics. You do say that this ink is “pretty much on par” — whatever that means — with another ink. Otherwise, this is just a shot of a page with some writing and some dry times. Plus, a video of doodling. What views would Kaweco’s generosity have influenced? I’m not interested in any of those things, only with how an ink looks on the paper. There are lots of places where you can find that kind if information if that’s what you’re interested in. But, as you point out, this isn’t one of those places and never will be.